The idea that IT leaders and their teams should pay attention to broader issues outside of their direct remit has been on the agenda of many businesses for years. IT should play a much greater role, it has been argued, than its traditional speciality of ‘keeping the technology lights on’. But for many, the scope to achieve greater levels of integration has been limited, not least by the need to control IT investment and drive down costs. Now, the rapid adoption of cloud is driving a change in how organisations see IT supporting their business as a whole. A year ago, this meant the emergence of ‘cloud people’, where organisations were increasingly shaping their IT teams with cloud front of mind. At the time, that was an emerging concept, yet just a year later we are seeing the growth of a broader ‘cloud culture’, whose influence is going far beyond tech teams and right into the boardroom. Cloud, in its many forms (public, private, hybrid, hyper-scale…), has been a massive success story. As undoubtedly one of the most discussed tech trends in recent years, people could be forgiven for thinking that it’s already established a winning position in the technology industry. Yet, according to tech analyst house IDC, cloud spending is some distance away from its likely peak, compared to investment in ‘traditional’ approaches to IT. Estimates say it will be 2020 before spending on cloud services will come close to equalling what is spent on traditional IT. But a ‘resource revolution’ is already well underway with organisations using cloud to change how their IT teams work - not at the expense of jobs, but in the pursuit of specialisation. 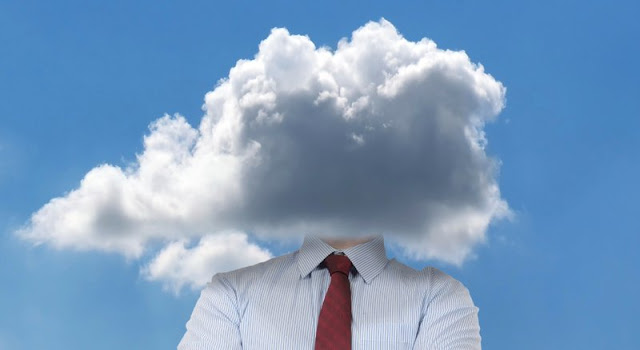 Recent research from Freeform Dynamics, for example, revealed that reports of cloud-driven shrinkage in IT teams are exaggerated; IT teams are using cloud to develop specialist skills among their staff, rather than reduce headcount. Indeed over the last three years only 6% of research respondents reported some decrease in the size of their IT teams. In contrast, over 70% reported their IT teams had seen ‘some’ increase or a ‘significant’ increase in staff levels. Over the next three years, while many are expecting a net increase in the size of IT teams overall, the growth rates are slowing (45% indicating growth, with only 7% within this expecting a significant increase). However, there is a major shift in the make up of IT teams driven by the adoption of cloud and hosting. Looking at the mix of specialists versus generalists, the number of those declaring at least half of their teams being made up of generalists falls off dramatically as the use of cloud goes up. This confirms that the need for generalist IT staff to take care of routine operations (provisioning, patching, etc), decreases rapidly with cloud adoption. Emphasis is switching to more specialist skills such as architecture, design, security, information management and line-of-business applications. So what’s next? As the bottom-line benefits of cloud are better understood at board level, business leaders are seeing it as way to ensure IT can have a more direct impact on overall success. ‘Cloud culture’ is changing the way businesses think about the way they operate, not just the way they manage IT. That idea is supported by the findings of the Freeform Dynamics study, which showed that contrary to the industry marketing hype, only 15% of cloud users were motivated purely by cost savings when adopting the technology. Instead, 31% said balancing cost management and value was their priority, while 23% were concerned primarily with value. This shows that cloud adoption is being driven by a wide range of objectives, from management of service levels and responsiveness to change, to the management of IT related risks, to simply getting the most from suppliers. Lessons can be learnt from the startup community, for instance, who enthusiastically embrace cloud solutions to give them flexibility and control as they expand and develop. Startups are also setting the trend for the type of IT leader and team members needed in today’s economy. They frequently look for people who can bring an approach that balances business need and technology expertise. They might not have the deep technical background of their counterparts from the pre-cloud era, but they can very effectively bridge the gap between business need and IT delivery. An increasing part of the cloud cultural mix is the way businesses also now rely on specialist partners, such as Cloud Service Providers, to make their shift in tech investment pay off. CSPs deliver specialist skills, experience and infrastructure to support in-house teams ‘as-a-service’. In the early days of the cloud market, providers often delivered their services in a largely hands-off manner. This may remain appropriate in the context of some requirements, but today, where converged services increasingly make more sense, customers are making a broader commitment to individual providers. In an emerging cloud culture, those providers must become more willing to play an engaged role and get even more involved with the customer’s environment.